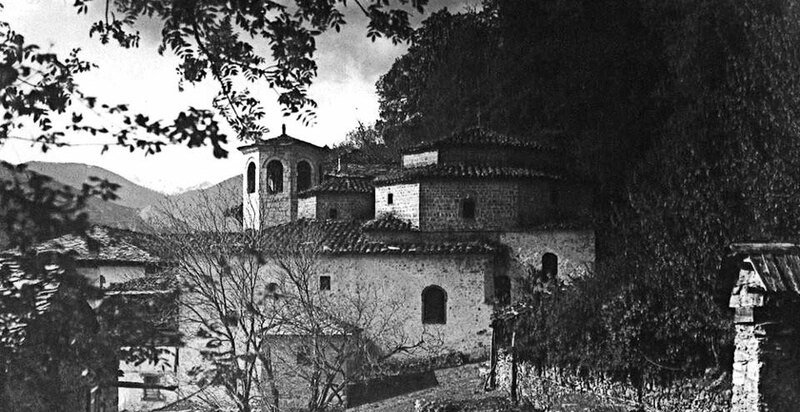 All the Abbots in the history of the Bigorski Monastery are local people, Macedonians, mostly from the Miyak region, who due to their devout and overall endeavor at the preservation of the national entity, contributed to the creation of a cultural – educational center in the monastery, which will permanently shine from the moment of its foundation, up to the present. This spiritual world of ours persistently fought in the hardest days of its survival, completely dedicated to the struggle for the preservation and continuation of the material, spiritual and cultural – educational values of our difficult but rich past. 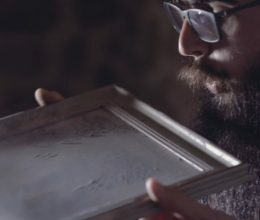 With their spiritual enthusiasm they have been inspiring for years our builders – masters, fresco – painters, poets, musicians and revivalists to create works important for our cultural – historical and spiritual tradition, which even today amaze us with their uniqueness and perfection. The spiritual teachers of the Bigorski Monastery were not just simple common people, peacemakers in monastic habit and national enlighteners, but rather proved themselves as real spiritual fighters, preservers of the national entity, guards of the national self – conscience. 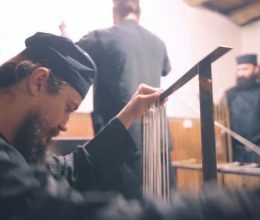 They have remained to the very end a defense and resistance against the numerous national – religious propaganda, trying with all their strength to preserve the Church – Slavic spirit of the ancient Ohrid Archbishopric. These violent propagandas seemed to have managed with their brutality, countless victims, terror, fights and cruelty to completely interrupt the line of tradition regarding the live and activity of these spiritual fathers. Almost all the written testimonies for the historically important events and happening connected with the monastery and its people, and through them to the common Macedonian as well, simply disappeared in the course of these restless times. Such devastating changes, although maybe not so visible for the monastery and monkhood, happened in the period of communism to, when the common Macedonian was, physically liberated, but spiritually still enslaved, because of the absence of the previous spiritual leaders. The first known Abbot in the more recent history of Bigorski is Abbot Hilarion, who was in this position from 1743 till 1781. At that time the monastery had been completely destroyed by the Turks and desolated. He built new monastic cells, restored the small old church which he had found there and enriched the monastery property. His successor was Triphilius, whose life remained completely hidden under the veil of time, and six years later Hadji Tarasius was chosen for an Abbot. 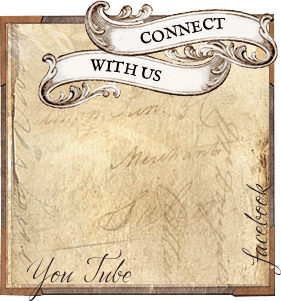 His name was preserved for eternity, because it was carved on the marble plates in the narthex of the old church. These plates are at present dislocated and placed on the northern exterior church wall. The next Abbot, Metrophanes, did something of great importance for the church. During his time the present impressive church was build and it replaced the small old church. The Abbot also made sure that the dome is fresco-painted, and revived the monastery Metochion in the village of Rajchica. The years that followed were the most fruitful years for the monastery, when this sanctuary reached its peak of glory and beauty. 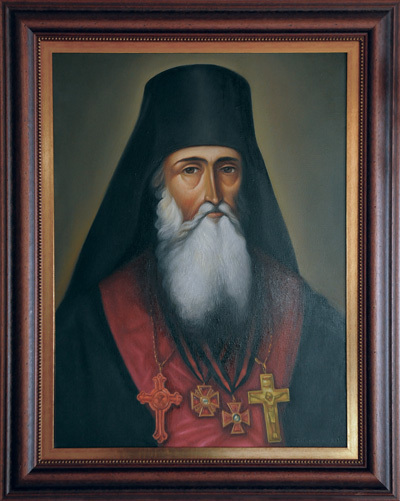 This is the period of Abbot Arsenius – the most influential one among the Bigorski Abbots, you could say one of the most deserving and crucial persons, who contributed for the material and spiritual growth of the monastery in the period from 1807 to 1839. At that time the church was additionally decorated with a wonderful wooden iconostasis, the old monastic hospices were restored and the main Refectory was completely fresco-painted. Due to his support and care, the Bigorski metochion in village Rajchica completely flourished. With love and care of this Abbot the old hospices in the metochion were restored and a new church dedicated to St. George the Triumphant was built in the yard. For the fresco-painting of the dome, Michael and his son Daniel were engaged, by the successor of Arsenius, the new Abbot Joachim. He successfully finished all the projects that his predecessor had started. In 1948 Abbot Joachim engaged Dicho Zograph to finish the fresco-painting in the Metochion. In 1870, after a longer period without a steady Abbot, the monastery was finally assigned to Abbot Michael. He managed to save the monastery from the financial crisis in which it had fallen, by trying to pay the monastery debts, by collecting money from our faithful in the neighboring countries. Abbot Michael also responsible for the fresco-painting of the western exterior wall of the church, because in 1871 he engaged his co-citizen, the painter Basil Ginoski, to paint this part of the church. 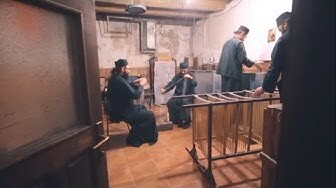 During the time of his governing of the monastery, monk Neophit from village Vevchani restored and relocated the water tap in the Bigorski Monastery, as well as the one in the Metochion, which he placed outside the monastery yard. 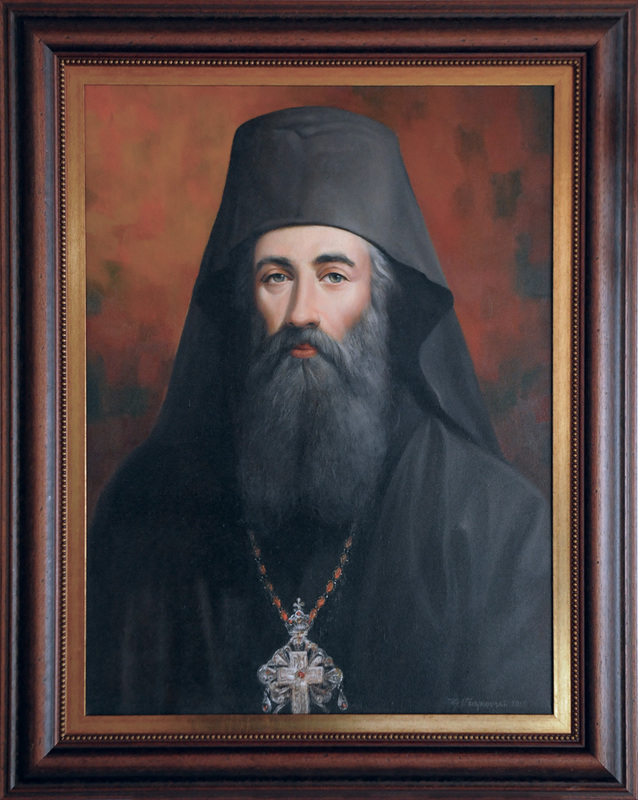 The successor of Michael, Bishop Nicodemus, who became Abbot in 1907, didn’t leave many traces in the history of the monastery, while as, for the Abbot Parthenius, a well known fact is that he was a Superior two times, first in 1912 and then later from 1916 till 1918. 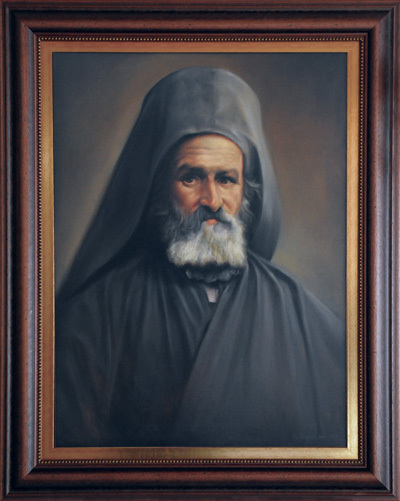 He had finished the monastery school at the Bigorski Monastery, and then continued his spiritual education at the Seminary school in Constantinople. After that he served for 10 years as a deacon of the Debar Bishop Kosmas, and during the World War I he became Abbot of the Monastery. This is a very turbulent period in the Macedonian ecclesiastical history, a period of clashes between the Exarchate and the Serbian Church, the victim of which was Abbot Parthenius as well. He was brutally killed in 1918. 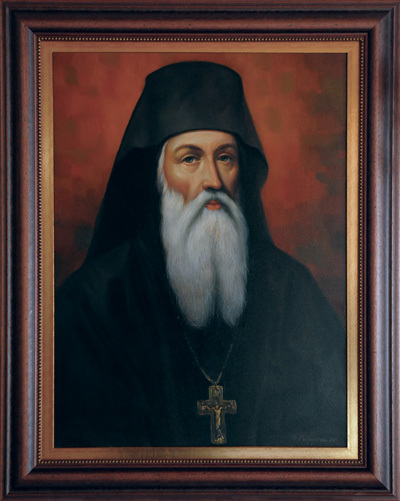 Abbot Spyridon was the last Abbot of the Monastery. He was tonsured on Mount Athos, and became a monk of this monastery in in 1901. The same year he became a hieromonk, and somewhat later was assigned an Abbot too. Died in 1948, leaving behind his portrait, a work of George of Zograph, which used to hang on the gest reception room wall, and is now taken to a museum in Skopje, while as his tombstone with the preserved inscription on it is placed south of the church.